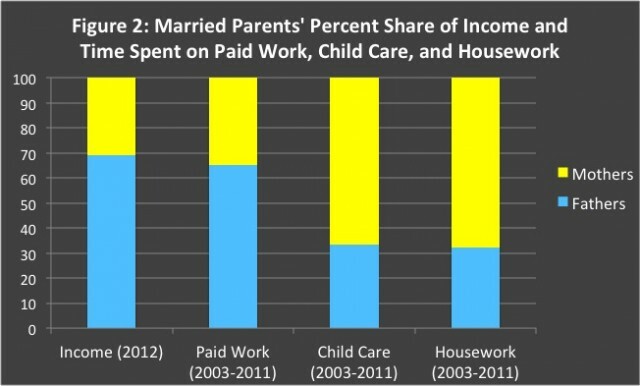 Over at The Atlantic, Brooking’s Richard Reeves argues that “the most affluent and educated Americans…are creating a new model for marriage—one that is liberal about adult roles, conservative about raising children.” Reeves calls these “high-investment parenting” marriages or HIP. “The central rationale for these marriages,” explains Reeves, “is to raise children together, in a settled, nurturing environment.” These couples “take their time to select a partner; and then, once the marriage is at least a couple of years old, take the final step and become parents. Money, marriage, maternity: in that order.” According to Reeves, this represents a new child-centric, gender-equal model of marriage. Apparently, child-centeredness and adaptation of gender roles to economic circumstances and preferences aren’t all that new. 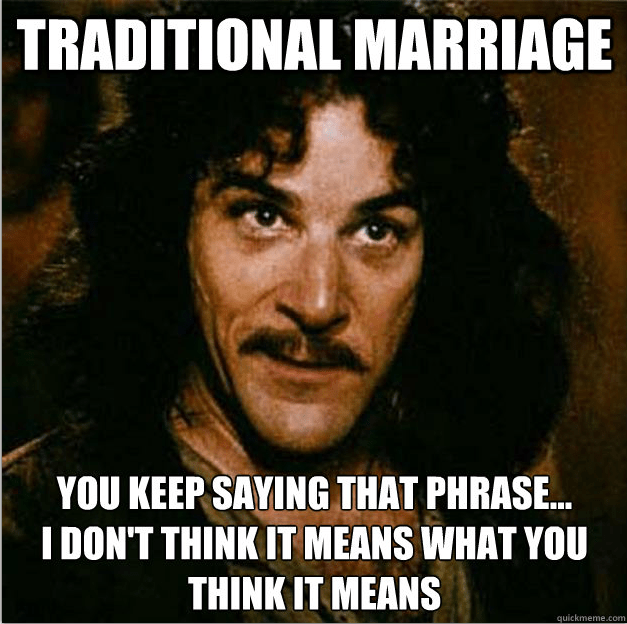 We should remember that before skewering “traditional” marriage. As historian Mary Hartman explains, “Within households, men came to depend less on their own male blood relatives and more on their wives for livelihood and support, whereas outside households they came increasingly to rely on unrelated men rather than on kin networks. Women, for their part, emerged as more active if not equal partners with their husbands in decisionmaking within households and also within their local communities . . . Husbands requiring responsible partners were obliged, however reluctantly, to abandon the image of the irrational and unruly female, and to refashion women’s image more closely to their own. . . . [t]he whole society was becoming less, not more, patriarchal, starting at the basic level of the household . . . the unity of kin and property that for thousands of years had been the central focus of most men’s worlds began to dissolve” (Quoted in V.H. Cassler, “‘Some Things That Should Not Have Been Forgotten Were Lost’: The Pro-Feminist, Pro-Democracy, Pro-Peace Case for State Privileging of Companionate Heterosexual Monogamous Marriage,” SquareTwo 2:1, Spring 2009).